As soon as President Trump finished his State of the Union address Tuesday night, The Washington Post deployed its fact-checkers to blunt any positive narrative that might come of the President’s unifying speech. “President Trump’s State of the Union speech once again was chock-full of stretched facts and dubious figures,” the article begins, employing the standard terminology used by liberal reporters when they want to accuse the President of lying, but can’t find any actual falsehoods in his remarks. While most of their so-called fact checks were opinionated and/or arbitrary in nature — for instance, they waved away President Trump’s accurate assertion that more Americans are employed today than ever before by pointing out that “the U.S. population is growing” — some of their more dubious claims demand a fact check of their own. The article included a particularly lengthy fact-check on the statement, arguing that the President’s description of the New York law was inaccurate because the law requires a “health-care practitioner” to make a “good faith judgment” that an abortion is necessary before ripping a baby from its mother’s womb moments before birth. The Post’s defense of Virginia Governor Ralph Northam, meanwhile, relied solely on the explanation proffered by his office, which sought to defuse the controversy over his apparent endorsement of infanticide by absurdly claiming that the governor was referring to medical treatment, not ending the life of a baby. While they conceded that the President was correct about the $100 billion number, the Post’s fact-checkers insisted that President Trump does not deserve credit for the increase, since it is just a fulfillment of a spending pledge made at a 2014 NATO summit. While it’s true that President Obama was in office when the Europeans made their pledge, the Post neglects to credit President Trump for applying the pressure needed to get our NATO allies to actually honor that commitment. The Post also failed to mention that President Obama specifically identified North Korea as America’s greatest national security threat in a conversation with his newly-elected successor during the transition, telling then President-elect Trump that war with North Korea was imminent. In its flailing attempt to detract from the impact of the President’s inspiring speech, The Washington Post blurred fact with opinion, disputed figures even while conceding that they were technically accurate, and treated political spin from Democrat politicians as tantamount to a refutation of President Trump’s claims. 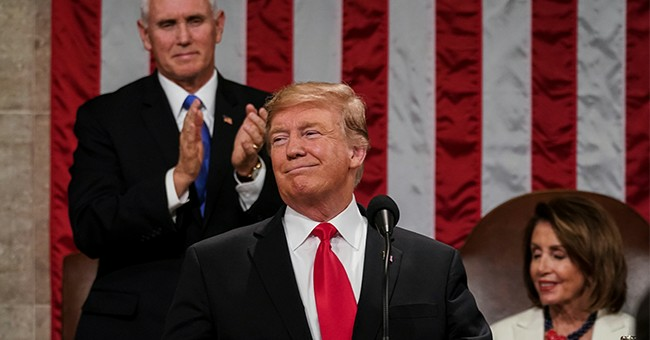 Despite their best efforts, though, the Post and other liberal media outlets were unable to deceive Americans, who overwhelmingly approved of the State of the Union address. Liberals should just give up on the idea of trying to convince everyone that President Trump isn’t telling the truth. They’re not very good at it, because they still don’t understand that the whole reason the American people elected Donald Trump is that he tells the truth so convincingly.